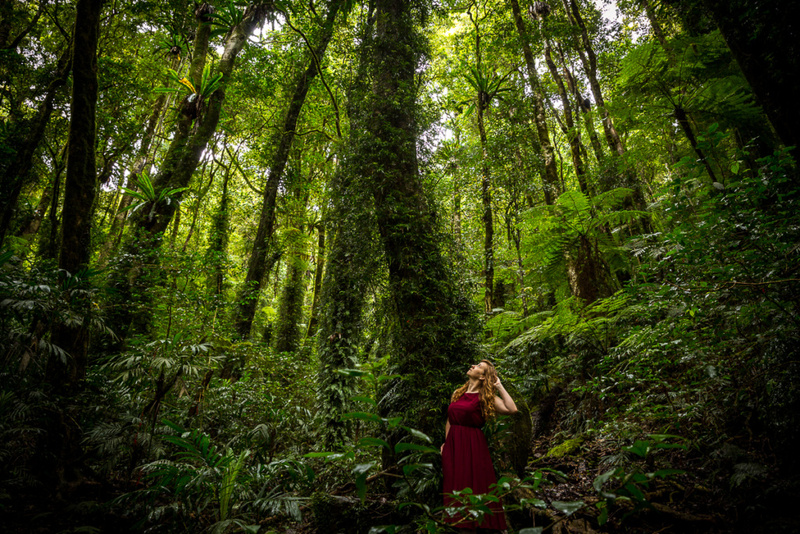 I've mentioned in previous posts my desire to run away into the woods and how spending a few days at O’Reilly’s Rainforest Retreat in Lamington National Park momentarily fulfilled that urge, but I've only really glossed over the actual experience. A luxury lodge was not quite the cabin in the woods I’d been dreaming of but it was a step closer than suburbia. My friends seem to have the mistaken impression that I’m far from the outdoor type anyway so this option seemed like a good compromise. The prospect of being a woman wandering alone through the woods with expensive camera gear was admittedly quite daunting. But besides creepy crawlies and the weird creature I found mauled by the roadside there seemed little to fear. Each day I hiked 15km+ carrying my tripod, camera gear, and a backpack full of costume dresses and food. 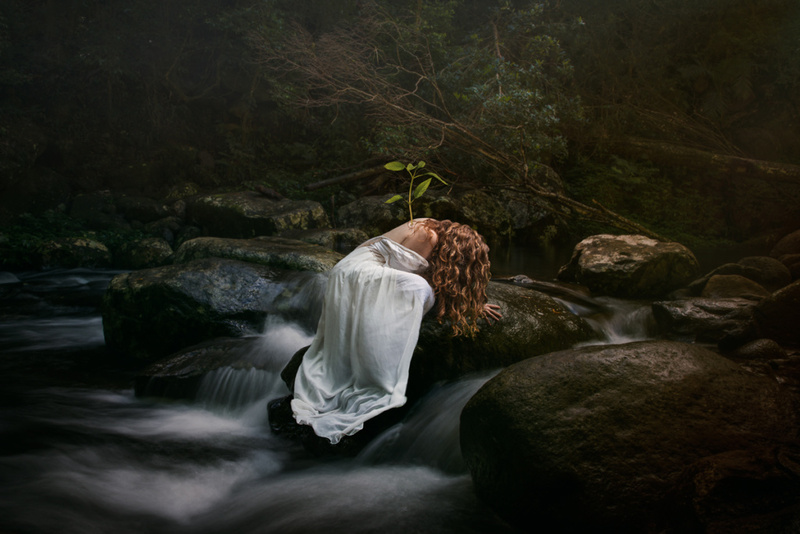 When I found a picturesque spot I would change into a dress, set up my camera, and climb into the scene. Afterwards while I packed everything away someone always walked by and I can only imagine what they would have thought had they arrived a moment earlier. The drive to O’Reilly’s is a challenging, often one lane, winding mountain road made even more difficult because it had been raining non-stop for the past week. The slow and steady drive meant I arrived later than expected and so the first afternoon I did the short Booyong walk, including the Tree Top Walk over the forest via suspension bridges. When I returned to my room there were rosellas sitting on my balcony who barged into my room looking for food. 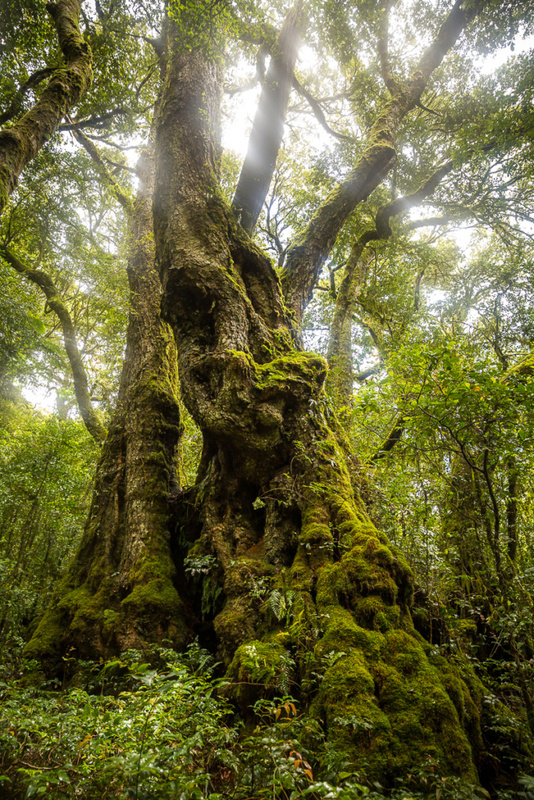 [gallery columns="2" size="large" ids="4602,4603"] The second day I walked part of the Border track with a short detour along the Albert River Circuit to admire the 3000 year old Antarctic Beech Trees. 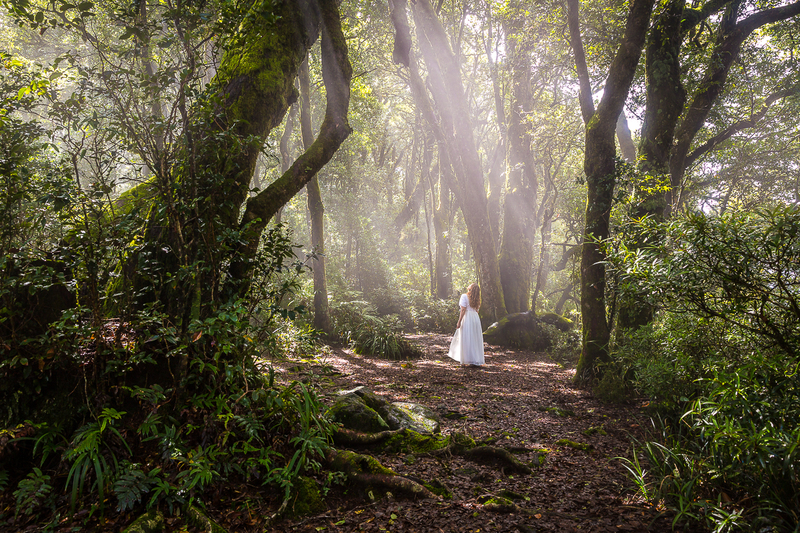 I was on the hunt for fairy tale spots and these trees certainly delivered. I then rejoined the Border Track having to detour from the path into the overgrown forest for a few minutes to avoid a massive fallen tree and walked as far as the NSW border before returning the same way. It’s amazing how easy it is to clear your mind in the bush when your focus is entirely on what’s directly in front of you. [caption id="attachment_4604" align="aligncenter" width="960"] Fairies? [/caption] [caption id="attachment_4608" align="alignright" width="200"] The rock climb to Elebana Falls[/caption] The third day I again started on the Border Track but left after 3km to do the 11km Box Forest Circuit. Heading clockwise I walked along muddy paths down to the trail of waterfalls, rolling my ankle on the way which made things tricky for awhile. 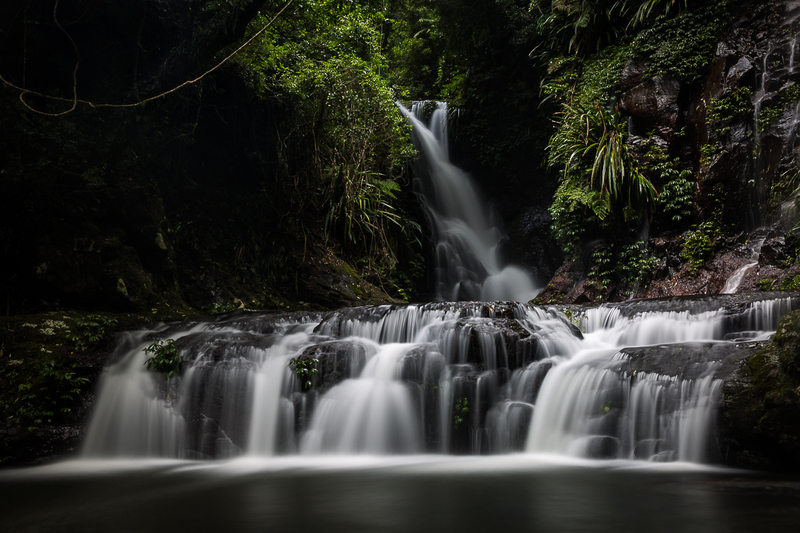 Most of the waterfalls I had completely to myself so I stayed for a long, peaceful time at Nugurun Falls and after a couple of creek crossings found the incredibly powerful Box Log Falls which felt oddly menacing so I was fearful to stay long. I headed back via Elebana Falls which is one of the more popular waterfalls in the area and involves a serious rock climb to reach the picture postcard spot. There I found a 70 year old man who’d been waiting since 7am for the right light. He said the soft, overcast light became perfect just as I arrived and I was amused to see the sun came out again just as I was leaving. Thanks nature! [caption id="attachment_4609" align="aligncenter" width="960"] The view after the climb! [/caption] [caption id="attachment_4610" align="aligncenter" width="960"] Elebana Falls[/caption] [caption id="attachment_4607" align="aligncenter" width="960"] Box Log Falls[/caption] The uphill walk back was slightly laborious so I took a short rest in my room and then went to visit my feathered friends at the designated bird feeding spot (in an attempt to stop them doing home visits). 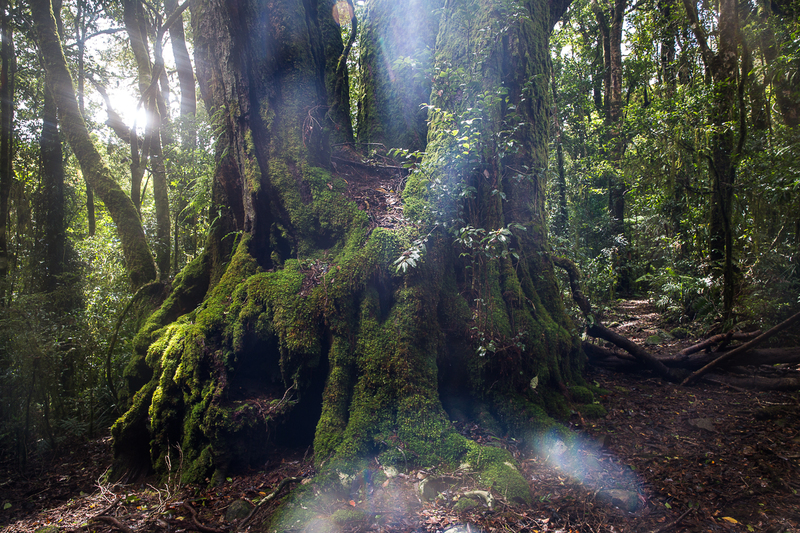 [gallery size="large" ids="4612,4611,4613"] On the last day I did the peaceful Wishing Tree walk, which is only accessible to O’Reilly’s guests, down to Glow Worm Gully and Moran’s Creek. [gallery size="large" columns="1" ids="4614,4615,4616"] Afterwards I drove to the Moran’s Falls walk entrance which is 1km away or you can take a path directly from O’Reilly’s. Either way the walk ends at the main lookout before looping back on itself. There’s a spot near Moran’s Falls which continually shows up on Instagram but after having trouble finding it I asked an O’Reilly’s tour guide for advice and he blatantly lied to me and told me it was a 6km walk away. Luckily someone on Instagram came to my rescue and told me it was only 10m away over a fence. Obviously, fence jumping is not advisable, but sitting at the top of an 80m waterfall with incredible valley views was certainly worth it! [gallery size="large" columns="1" ids="4618,4617,4619"] As I drove down the spirally hill away from the forest back to suburbia fatigue began to set in and I struggled to stay awake on the highway, so while I felt energised from my time in the forest, all the exercise wore me out completely. Lamington National Park contains two lodges, one on either side of the mountain and having previously stayed at Binna Burra Lodge on the opposite side I thought it might be useful to outline the differences between the two accommodation options, O'Reilly's and Binna Burra. When researching this trip I could find little about this topic and I’m sure others will find it helpful. The drive to Binna Burra is far less stressful than the winding roads to O’Reilly’s and it’s slightly closer to Brisbane. Understandably food is limited only to what the accommodation provides and so both are pricey being your sole option. O’Reilly’s offers a bar for casual dining and a dining room for a fine dining experience although the same meals are available in both. I felt like a fish out of water among the overdressed couples in the dining room and eating in the bar felt like, well, eating in a bar. I wasn’t terribly impressed with either option. There’s also a breakfast buffet (which I didn't try) and free morning and afternoon tea. A separate café and grocery store provides for in between meals. I took my own food for breakfast, lunch and snacks which is highly advisable. Binna Burra offers an excellent buffet for breakfast and dinner in a cosy dining room where you generally share a long table with fellow guests who are often alone and clearly there for hiking rather than a lazy getaway. I preferred their food and down to earth approach. You can purchase a meal package when you check in. We took our own lunches, and morning and afternoon tea were free. There is a teahouse for in between meals. The bar at O’Reilly’s and the dining hall at Binna Burra both offer spectacular views. O’Reilly’s is a clear winner here offering bird and wildlife shows, Segway tours, a flying fox, glow worm experience and daily tours. The birds in the area are really tame and will happily climb all over you and fly into your room for the promise of a feed. It’s these experiences which has the place swarming with tourist buses during the day. Binna Burra’s activities are more adventure focused with abseiling, archery and orienteering but we found these only ran sporadically. 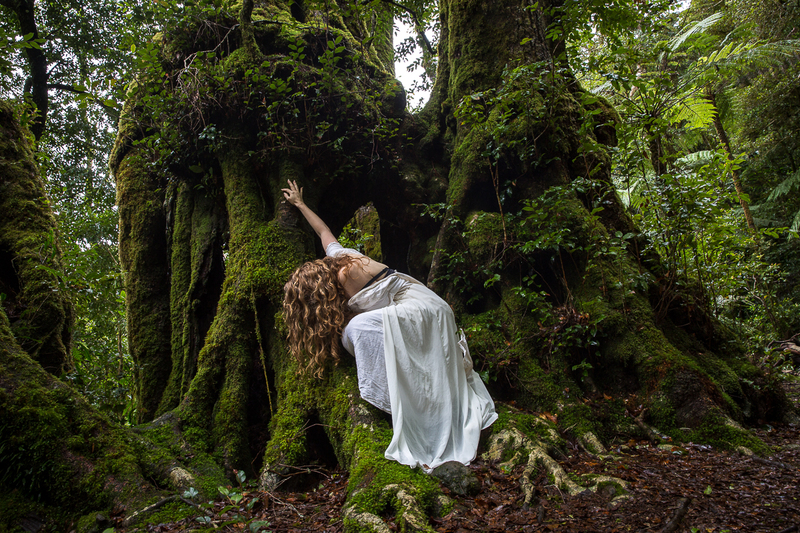 I like that Binna Burra offers more relaxed activities such as journaling and yoga and enjoyed their range of free nightly get-togethers, talks and tours which are sadly lacking at O’Reilly’s. Both offer a day spa and O’Reilly’s has a couple of lovely pools. There are plenty of walks of different lengths offered at both. 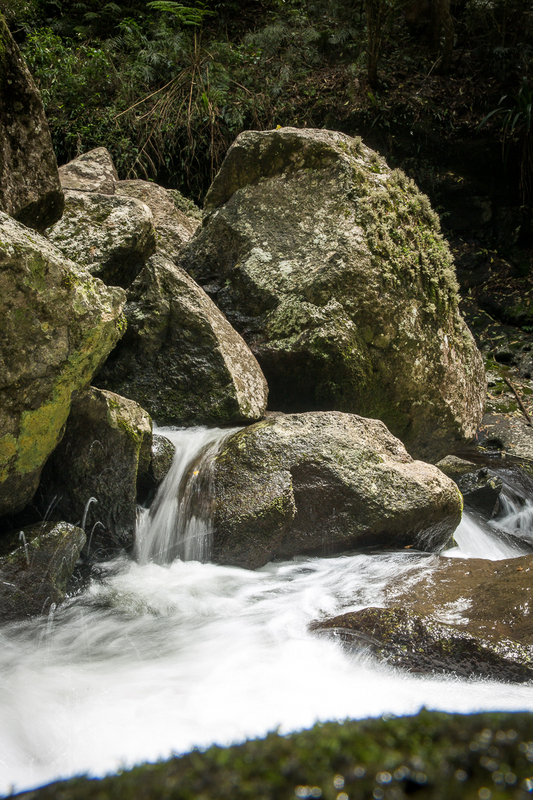 Personally I preferred the variety of the walks at Binna Burra but if it’s waterfalls you’re after O’Reilly’s is the favoured destination. Since O’Reilly’s caters more to tourists and families it’s pretty rare to bump into anyone on hikes over 5km although this makes the shorter tracks busy. The walks at both are similarly well maintained. You won't be disappointed by either option and it really just depends what kind of getaway you’re after. I would happily return to both but preferably Binna Burra for hiking and O’Reilly’s for a day trip or family holiday. If you're really keen you can stay at both by hiking the 22km+ track which links them. When I found these gnarly, moss covered Antarctic Beech trees along the Albert River Circuit I knew immediately they had the fairy tale look I was after. The trees in this area are believed to be thousands of years old and I imagined all the stories they might tell if trees could talk. How incredible to be so resilient and how lucky we are to still have them! I was also struck by the idea that without human interference the things that move the slowest tend to live the longest. 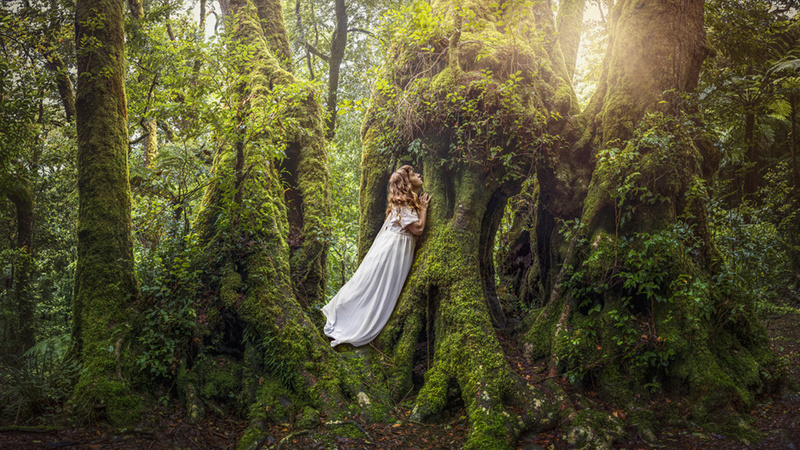 The pose was shot on location so it's not a composite although the image is a panorama made up of four shots edited together to get the full scope of the trees. In editing I tried to add a touch of magic - fireflies, fairies, butterflies - but I abandoned all these ideas because I really just wanted this image to be about the simple bond between the girl and the tree, as if it were telling her its secrets. 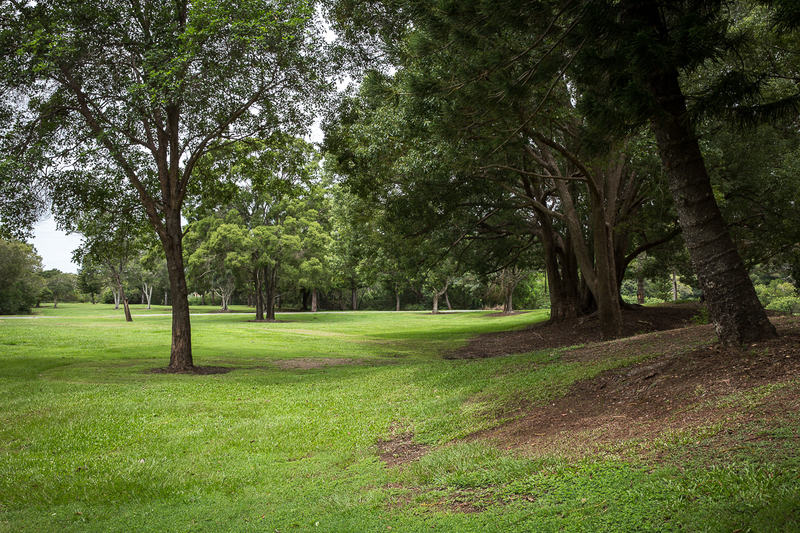 Sweeney Reserve is a delightful park rich in cultural heritage tucked away behind Gympie and Dayboro Roads. Unless you’re a local you may not even know it was there. It’s an expansive reserve containing large shady trees and walking tracks that hug the North Pine River. This, along with the sizeable off leash dog-park, makes it a popular spot for dogs and their humans. But there’s something for all the family with electric BBQs and picnic tables, playgrounds, gym equipment, a basketball court, skate park, recreational lakes and plenty of river access for canoeing and fishing. 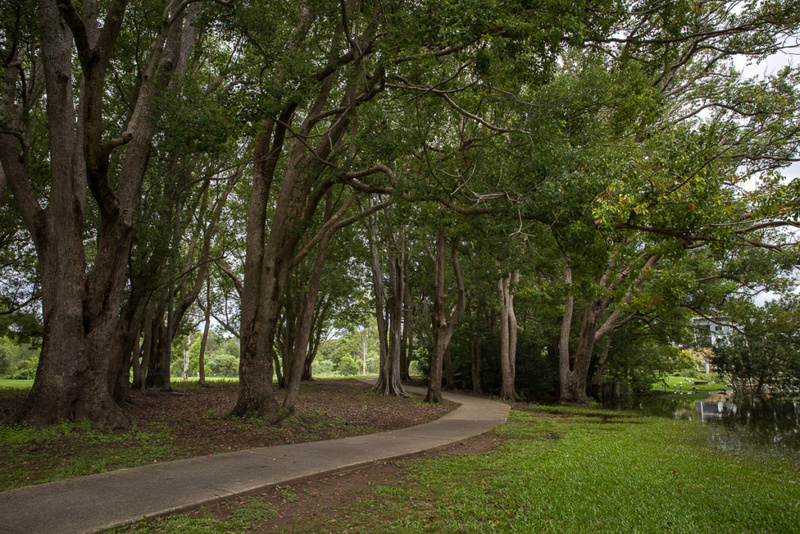 The Petrie parkrun takes place here every Saturday from 7am with a 5km return course. 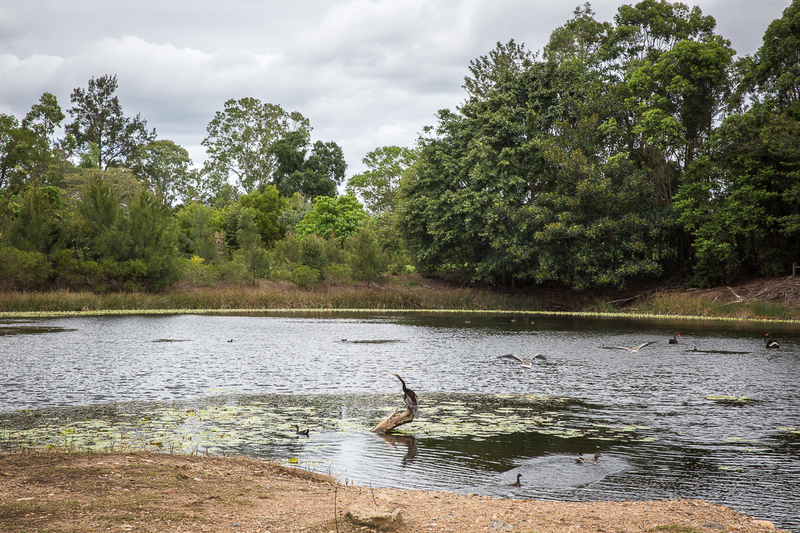 The reserve also contains a koala habitat area maintained by Bushcare. [gallery columns="2" size="large" ids="4576,4577,4574,4578"] The parkland was first protected from habitation around 1862 when it was preserved for Government purposes and today its calm, sleepy atmosphere gives little indication of all that has taken place here to qualify it as a protected space in the Queensland Heritage Register. 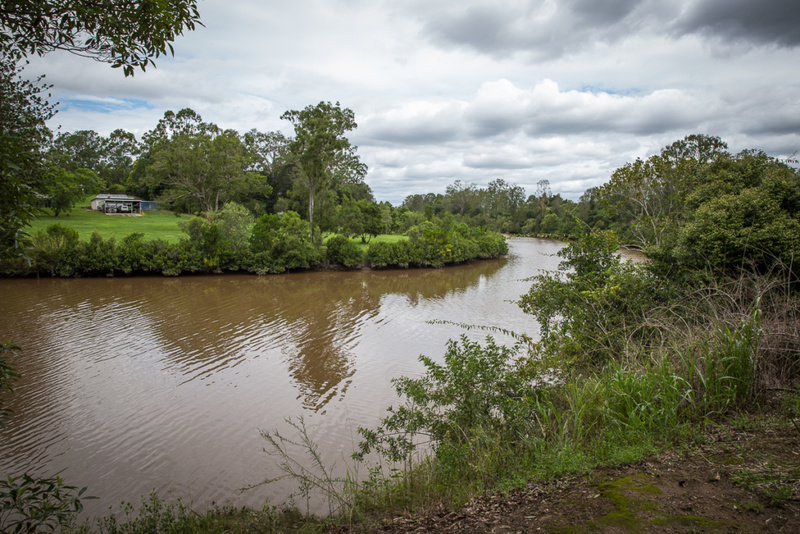 The North Pine River which weaves through the park was ‘discovered’ by Lieutenant John Oxley in 1823 while assessing the area as a potential site for a convict settlement. He rowed up the river guided by the well-known convict castaways Thomas Pamphlett and John Finnegan who he’d rescued from Bribie Island the day before. 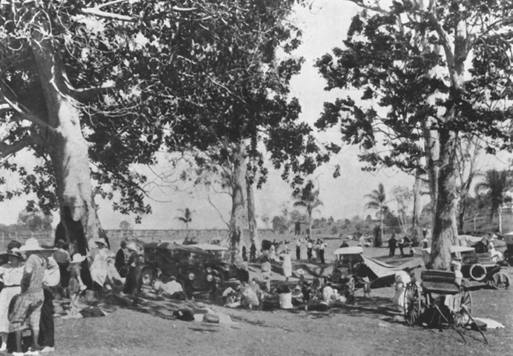 Oxley reported that the area surrounding the river was occupied by a large number of Aboriginal people. These Aboriginal people were from the North Pine Clan of the Turrbal people who used the area as a fishing hole. Around the 1840s an elder and rainmaker of the Turrbal clan, Dalaipi, was the custodian of several significant Indigenous sites including the Petrie Bora Ring, which was roughly located near Petrie’s roundabout, the ‘Mandin’ fishing hole witnessed by Oxley, and a rain-making site where the end of the rainbow is said to go down into the North Pine River indicating the presence of a precious stone. It was Dalaipi who, knowing Thomas Petrie as a friend to Aboriginal people, suggested the renowned pioneer choose land in the North Pine area to establish a cattle run, knowing that Petrie would ensure the protection of the sacred Indigenous sites. 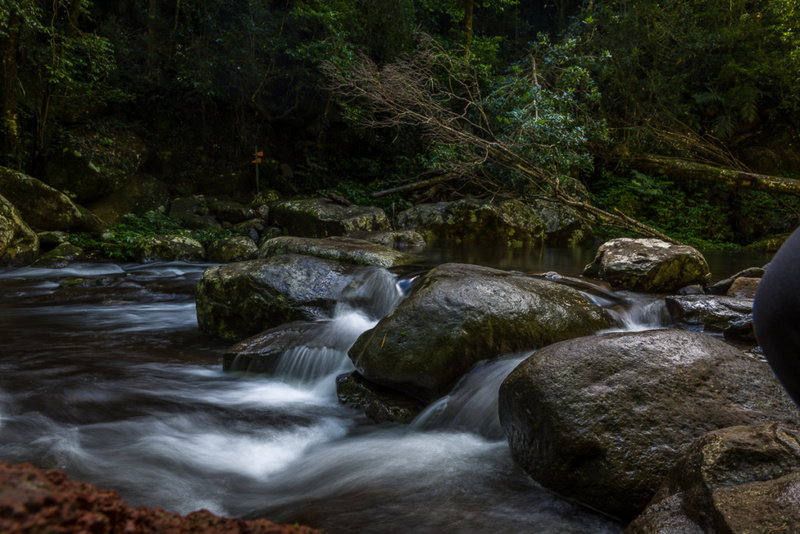 Petrie established a ford which became an important route for prospectors after the discovery of gold in Gympie and later as a route for Cobb and Co who used Thomas Petrie’s Murrumba Homestead as a coach stop. It was shortly after that the land now known as Sweeney Reserve was obtained by the government for the purposes of being a road and water reserve. 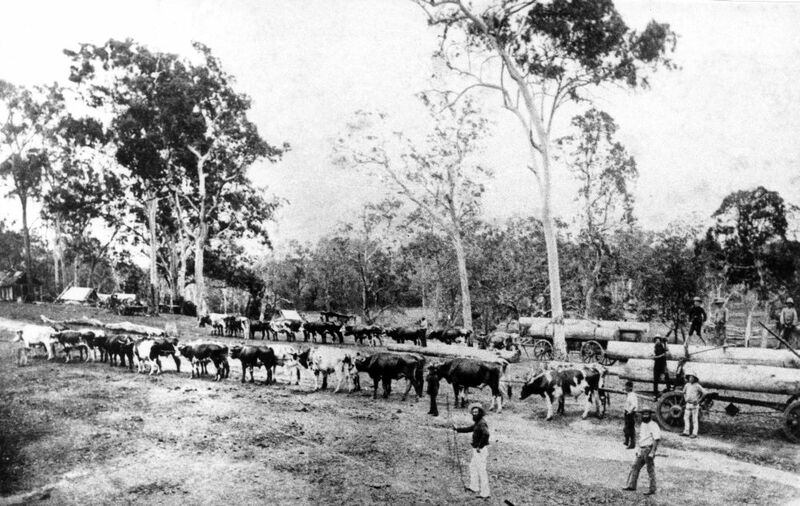 The North Pine River played a crucial role in the area’s timber history as a means to transport logs to market as well as providing valuable softwoods. [caption id="attachment_4583" align="aligncenter" width="1000"] Bullock teams carting pine logs to the rafting ground on the North Pine River, ca. 1890, photographed by Henry Gold. Image courtesy of Moreton Bay Regional Council, Image ID LHP710. [/caption] In 1875 Edgar Foreman built a small school on the site of Sweeney Reserve because the main school was across the river making it difficult to reach at high tide. The teacher travelled between the school buildings by horse or boat. 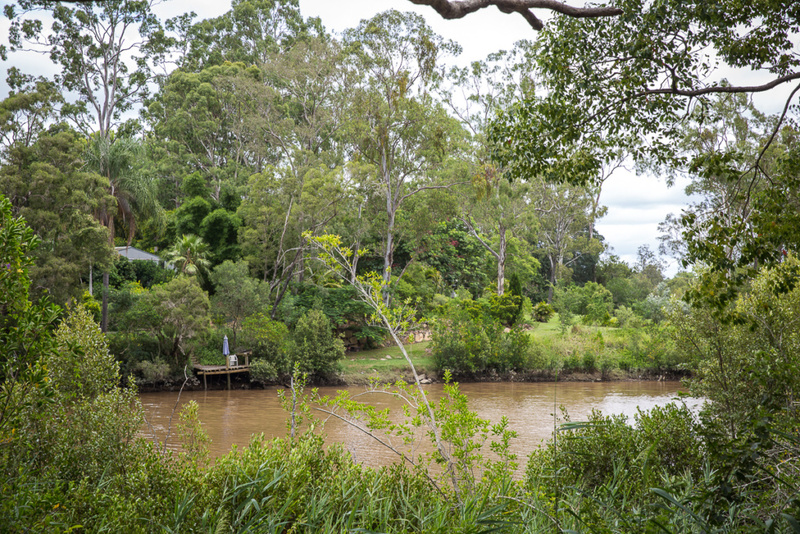 In 1877 a bridge was constructed over the river (next to the ford) forming part of the main road from Brisbane to Gympie. The support posts for this bridge are still visible in the North Pine River at low tide. This allowed the two schools to amalgamate and the second school building was then used as a meeting place and later a courthouse. 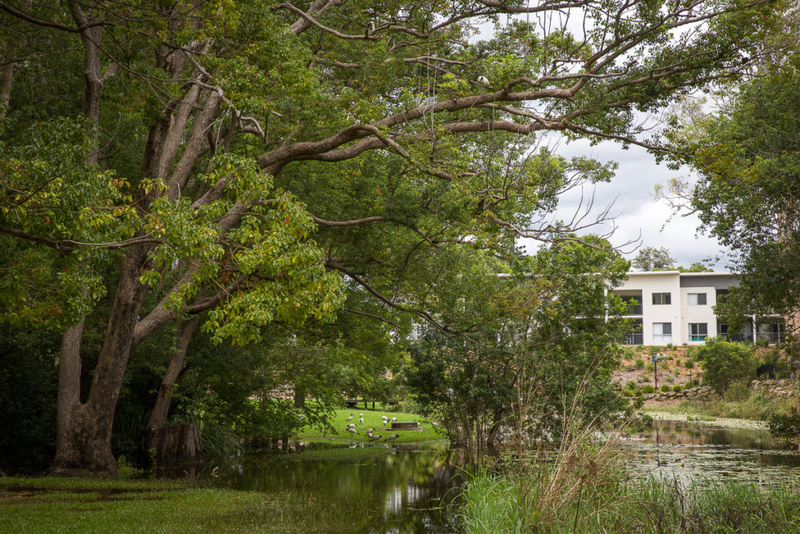 When the railway opened in 1888 Sweeney Reserve, being an easy walk from the station, became a popular picnic spot, known for good fishing, rowing and swimming. It was also used as a rest spot for travelling stock. By the 1920s it was so regularly frequented that over 1000 people were counted attending the area each Sunday during the Christmas holidays. It was used for annual company picnics, school break-ups and swimming lessons and races. Occasionally a band played on Sundays. By 1924 the Government gazetted the land as a recreational reserve controlled by the Pine Shire Council. [caption id="attachment_4584" align="aligncenter" width="513"] North Pine River Reserve, 1923. Image courtesy of Moreton Bay Regional Council, Image ID P0775. [/caption] In 1926 Patrick Sweeney, after whom the area became known, took over operations of the local kiosk, selling refreshments and hiring out boats. The Sweeney family added bathing sheds, toilets, a slippery slide and tyre and rope swings. They lived on the site in a house made from wooden car crates and were known to keep kangaroos and emus as pets. [gallery columns="2" size="large" ids="4579,4581"] In 1927 Sweeney’s house was flooded and the kiosk swept away so both were moved to higher ground. 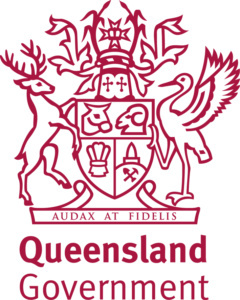 Due to the ongoing cost of repairing the amenities destroyed by flood, Pine Rivers Council relinquished control and Sweeney was appointed caretaker of the reserve. The area was declared a sanctuary for the protection of birds and animals in 1929. With an increase of vehicle usage and improved roads, the destination declined in popularity by the 1950s with people preferring to visit the coast. The kiosk closed in 1960 when Sweeney was in his seventies but the Sweeney family continued to live in their house by the river until 1994 when the last family resident passed away and the house was demolished. [gallery columns="2" size="large" ids="4571,4573"] If you’d like to know more about the area’s history it’s included as part of the North Pine River Heritage Trail available here. I love the idea that Sweeney Reserve was once an incredibly popular picnic spot and is now a sleepy parkland. Tourism is a fickle beast which often sees us overlooking our own backyards for exotic destinations further afield. In this image I chose to use picnic baskets as a reminder of the park’s popularity for weekenders but I decided not to include any people to give an abandoned feel. The edges fade to black and white to portray the changing of times. I included a rainbow as a reference to Dalaipi’s rain making spot and both an emu and kangaroo lurking on the sidelines as an ode to Sweeney’s pets. Learn how I created the feature image here. I invite you to share your stories, images and experiences of Sweeney Reserve in the comments below so we can create a living history of this natural haven for future generations. I invite you to share your stories, images and experiences of Bribie Island in the comments below so we can create a living history of this beautiful place for future generations. 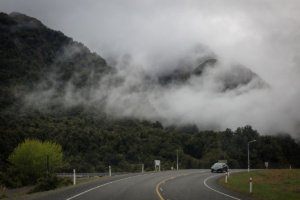 Arthur’s Pass, the magical stretch of road that connects the South Island's two coasts, was top of the agenda today making it a day that’s more about the journey than the destination. Arthur's Pass is listed as a 2-3 hour drive but you'd be crazy if you don't take your time and you can see why! 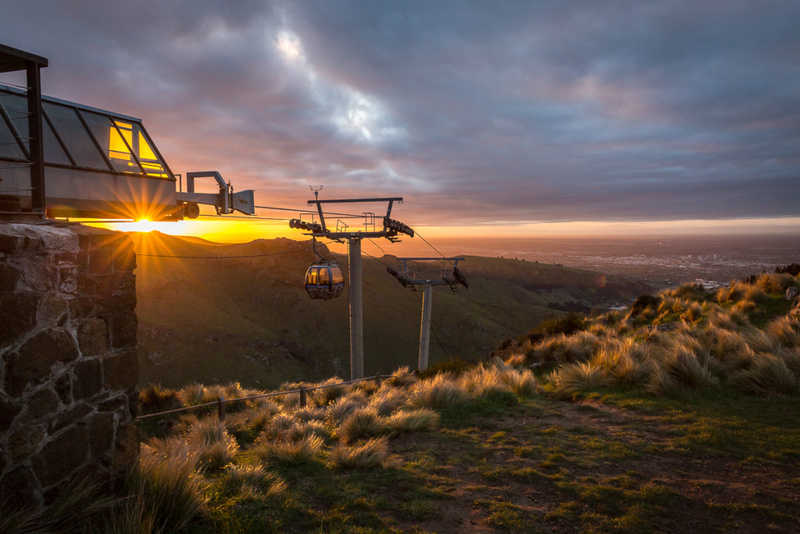 [gallery columns="2" size="large" ids="4140,4141,4142,4143,4144,4146,4147,4149"] Arthur’s Pass can also be traversed by train, namely the Tranzalpine, but if you can manage it by car you'll be able to stop at your leisure, and believe me, with 360 degree postcard views there are photo stops galore. [gallery columns="2" size="large" ids="4151,4153,4154,4155,4156,4157,4158,4159"] We chose to stop at Otira Viaduct for photos and to freeze our bits off, Arthur’s Pass township for lunch and Kea sightings (Kea are large, native birds that will literally eat anything), Cave Stream where the hiking directions are sketchy but if you head to the right you’ll come to the mouth of, well a cave with a stream, hence the name I guess, and lastly Castle Hill where we wandered among rocks the size of buildings, as seen in both Narnia and Middle Earth. [gallery columns="2" size="large" ids="4136,4131,4132,4129,4133,4128"] [gallery columns="1" size="large" ids="4134,4135"] Overall, the Arthur’s Pass drive is so damn incredible and immense that at one point I pleaded for it to stop because I was so overwhelmed by the beauty of it all and craving a break from the shutter button. [gallery columns="2" size="large" ids="4160,4161"] We arrived in Christchurch late afternoon and checked into the incredibly pretty Merivale Manor where another photo frenzy ensued. 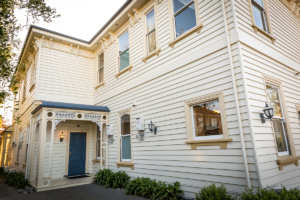 The Merivale area is the perfect place to stay, full of beautiful old heritage buildings as well as shops and restaurants that have migrated from the ruined city centre. We stayed at: Merivale Manor, Christchurch We stopped at: Every roadside pullover, Otira Viaduct Lookout, Arthur's Pass, Cave Stream, Castle Hill, Christchurch We wore (in spring): Layers, layers, layers including scarf and beanie Distance: Greymouth to Christchurch via Arthur's Pass is approximately 3 hours 20 minutes drive without scenic stops. 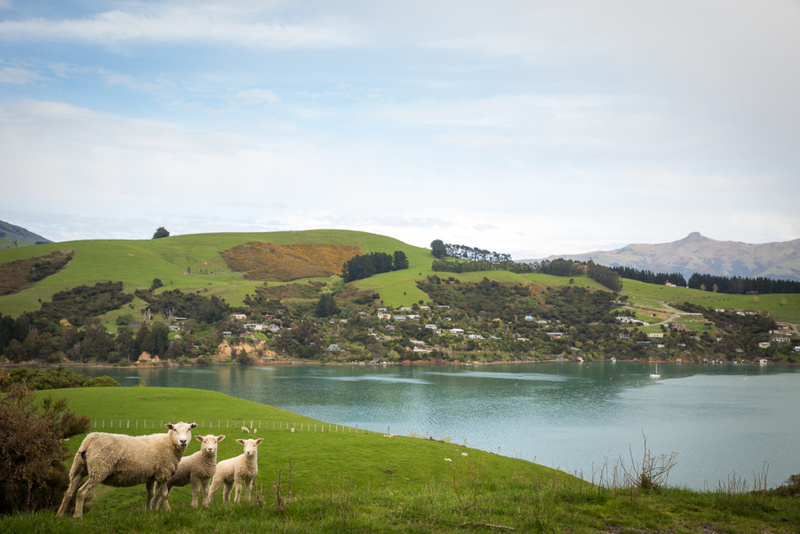 New Zealand is not called 'the land of the long white cloud' for nothing. I love clouds. They're fantastic for photography. But when you've had opportunities to explore glaciers via helicopter in both Mt Cook and Queenstown but instead leave it until the end of your trip, you're really tempting fate in a country with a cloudy reputation. It rained all night on our second night at Fox Glacier and with heavy hearts we dragged ourselves out of bed at the crack of dawn and mosied up to the helicopter office knowing full well that our glacier landing flight would be cancelled a third time. Please don’t make the mistake we did and be sure to take a helicopter flight wherever and whenever the weather is best. Instead we packed our things and drove to the nearby township of Franz Josef (20 mins from Fox Glacier) and found it was bigger and more developed than where we had stayed with the most expensive petrol I've ever seen in my life. Outside of town we discovered gorgeous Lake Mapourika where I took photos and Mum skimmed rocks. [gallery columns="2" size="large" link="none" ids="4087,4088"] We drove on to small but spirited Hari Hari where a stop at Willows Crafts will be the highlight of your day. The delightful shop owner, Nolly (who last I heard was looking for someone to buy her shop) is the kind of human you just want to bundle up and take home with you so you can bring her out to entertain her friends. And those life size man cut-outs who guide you along the Franz Josef Glacier Walk? That's her son, which she will tell you with glee (so act surprised). Don't forget to peruse her interesting wares (and garden!) 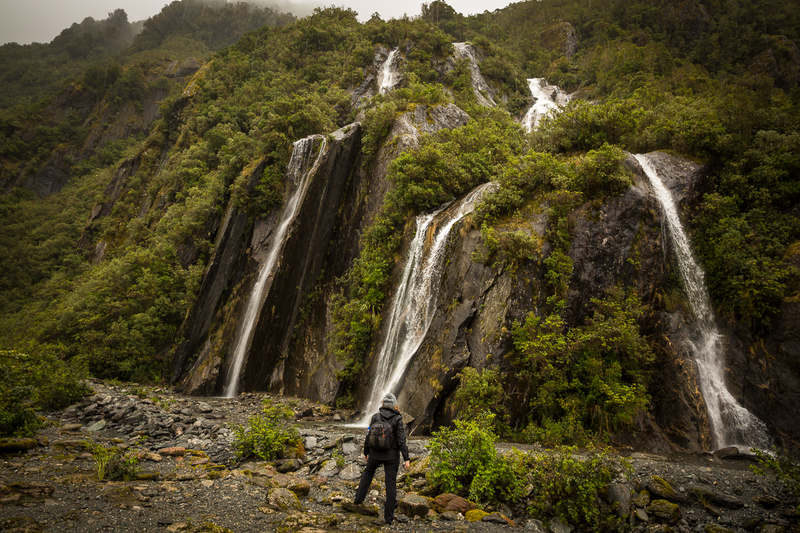 [gallery size="large" columns="2" ids="4089,4090"] It was dreary weather so we virtually skipped past Hokitika but if I were to do this trip again I probably would have chosen to stay there to give us time to explore Hokitika Gorge and the quaint little township. 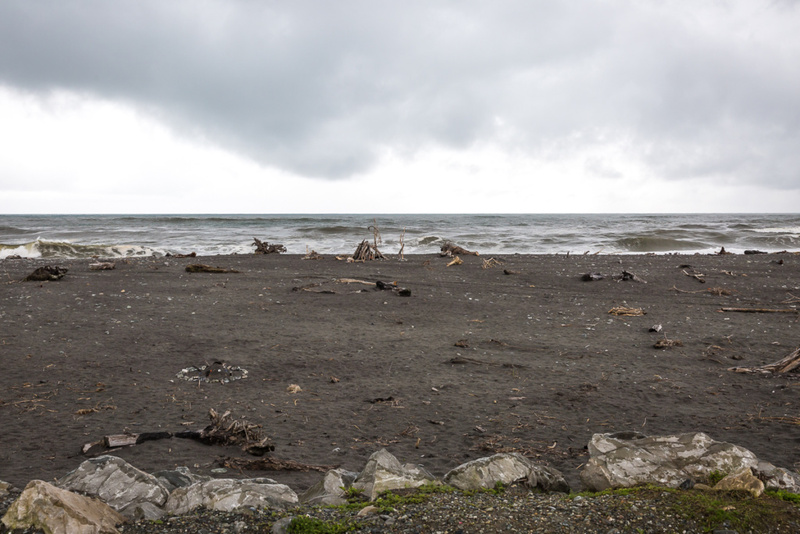 [caption id="attachment_4091" align="aligncenter" width="960"] Hokitika's wild beaches[/caption] People rave about the drive along the West Coast and while it is wild and rocky and scenic, had we been short on time I don't think I'd have regretted missing it. Still, we didn't miss any opportunity for a roadside pullover to snap the scenery. 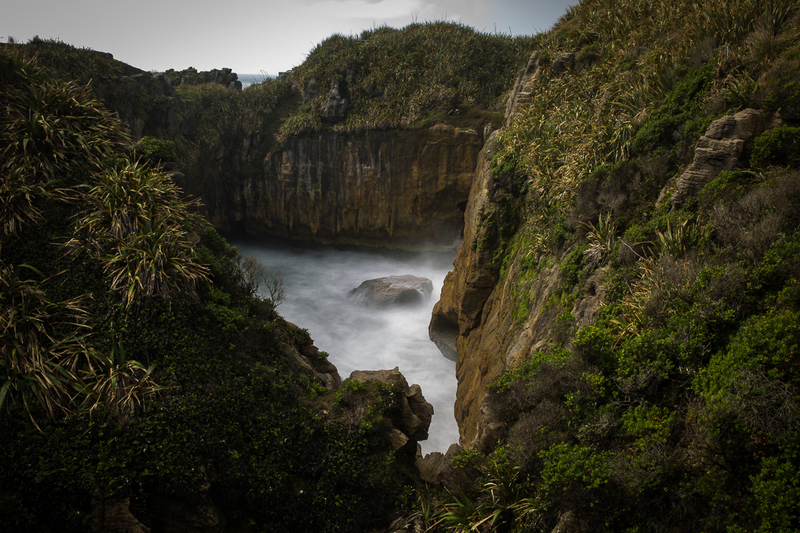 [gallery columns="2" size="large" ids="4092,4093,4094,4095"] Our stop for the night was Greymouth but I was keen to see Punakaiki’s Pancake Rocks and blowholes so we drove the extra 40 minutes north. 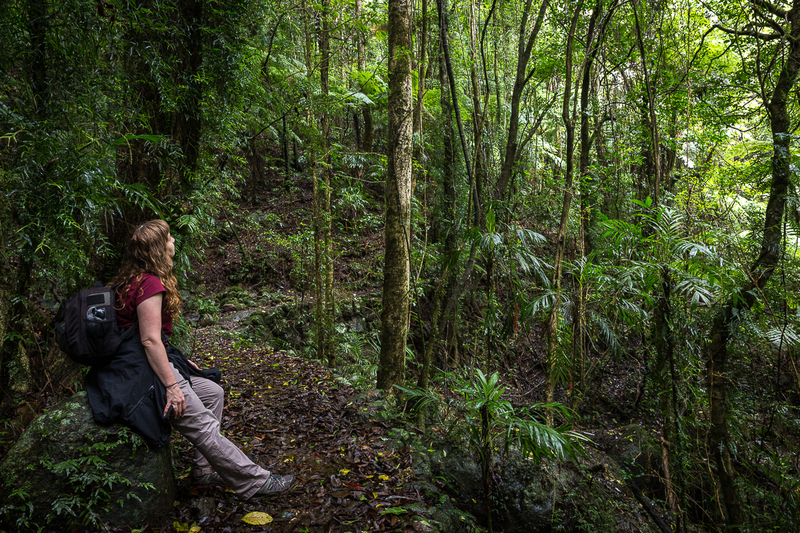 The scenery here is out of this world and if you haven't spotted a Weka chances are good you'll find one here. [gallery size="large" ids="4096,4097,4098"] [gallery columns="2" size="large" link="none" ids="4101,4102,4103,4106,4104,4099"] We’d have liked to travel on to Westport but were pushed for time so we turned the car around and headed back to Greymouth, which is a bit of a dreary old town, but we had a lovely stay at Alpine Rose Motel and the pizza at Do Duck Inn across the road is definitely drool worthy. [gallery columns="2" size="large" ids="4107,4108"] We stayed at: Alpine Rose Motel, Greymouth (complete with spa!) We stopped at: Franz Josef, Lake Mapourika, Hari Hari, Hokitika, Punakaiki Pancake Rocks, Greymouth We wore (in spring): Thermal layers, jeans, long sleeve shirt Distance: Fox Glacier to Greymouth is approximately 2 hours 40 minutes drive without scenic stops. Greymouth to Punakaiki Pancake Rocks is approximately 1 hour 20 minutes return (to Greymouth). For our entire South Island trip I'd been barely containing my excitement about the activity we had booked for today, a helicopter ride onto a glacier! But, rising early we discovered that the weather was, much like every other day, drizzly and foggy and we learned with heavy hearts that our helicopter flight had been cancelled. With desperate hopes that the sky would clear we rescheduled for later and headed off to do the Franz Josef Glacier walk which was a 2 hour, mostly flat walk of epic proportions scenery-wise. Sadly the glacier you see in pictures on Google has vastly reduced in size, having melted more in the past year than ever before, and you’ll notice that the locals refuse to talk about it in case it scares the tourists off. Still, look at the following pictures and weep at how beautiful some parts of the world are, even without huge frozen chunks of ice. The walk is roughly two hours returning back the same way you came. 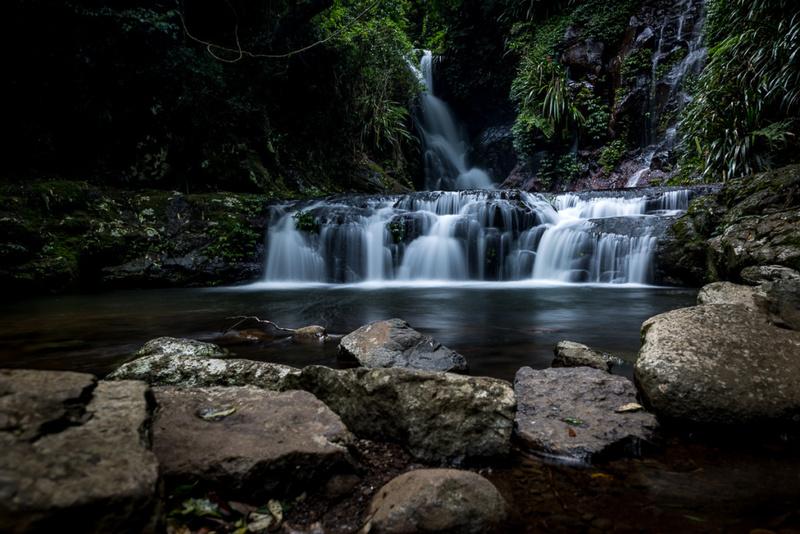 You'll start by walking through a small forest which then opens up into this incredible scene fulls of waterfalls and rivers and bright green moss. You're advised to stay behind the barriers when nearing the glacier by a life-size man cut-out (pay attention because you'll hear more about him in the next post). The rock face is incredibly volatile but that didn't stop numerous people jumping the barriers to get an up close Instagram-worthy shot on their mobile phones. If you're really that keen you are able to get closer with an experienced guide. [gallery columns="2" size="large" ids="3933,3934,3935,3936,3941,3940,3939,3938,3937,3942,3945,3944,3949,3948,3953,3951,3946,3950,3954,3956,3955,3957"] [gallery columns="1" size="large" ids="3959,3958,3952"] It rained pretty hard for most of the walk and I actually ran for shelter towards the end of the track just to finally be somewhere dry. Naturally by the time we made it back to Fox Glacier it was sunny and bright (typical NZ) and we were hopeful our rescheduled helicopter flight would make it out this time, BUT ... no such luck. Instead we decided to punish our bodies further by doing the two hour walk around Lake Matheson. Apparently the view of the snow-capped mountains reflected in the lake here is one of the best views in New Zealand but the fog had fallen again and we struggled to see the mountains at all. Still, the walk through the mossy rainforest to reach the “view” was like travelling through fairyland and made it all totally worthwhile. [gallery columns="2" size="large" ids="3972,3973,3961,3962,3964,3968,3963,3970,3969,3966"] We stayed at: Fox Glacier Lodge We stopped at: Helicopter Line, Franz Josef Glacier Walk, Lake Matheson We wore (in spring): Snow boots (we loved our snow boots because they kept our feet dry but sneakers will do fine otherwise), rainproof pants and jacket with hood, thermal underwear, gloves, scarf and beanie. The scarf turned out to be really handy for wiping water off my camera. Today we wave goodbye to Queenstown and head off to the west coast to visit Fox Glacier. This involves a long day of driving through some of the most gorgeous scenery but also some of the most dull, but never fear, there's plenty of interesting places to stop along the way! There's a couple of ways out of town - the safe road or the stunning road - so if the roads aren't icy and you're not towing a vehicle take the Crown Range Road which, if it’s possible to fall in love with a drive, this would be the one. It takes you up, up and through the mountains until you're almost as high as the peak. There's a pullover at the top that makes an ideal spot for a selfie or 50 if the weather is being kind. 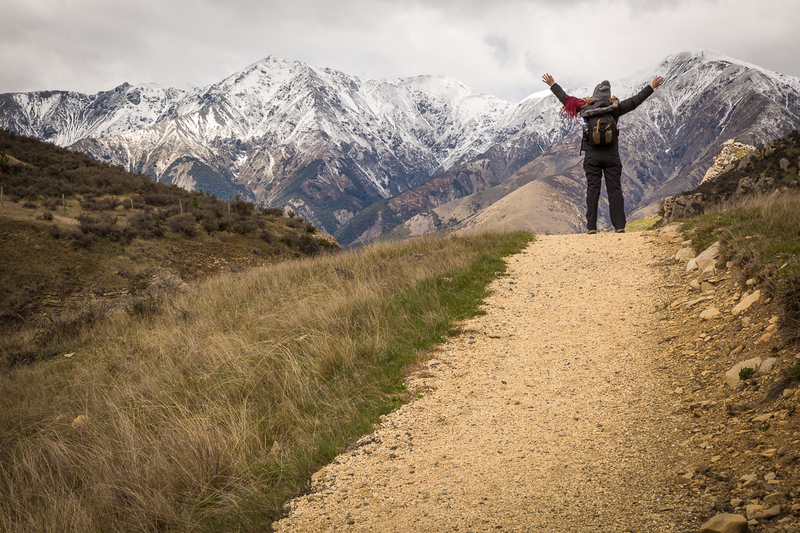 Afterwards you'll travel through Cardrona and over to Wanaka. 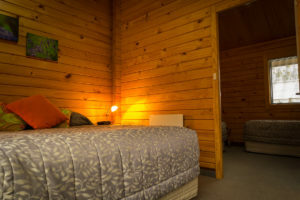 [gallery columns="2" size="large" ids="3893,3894,3895,3897,3898,3899"] We were on a tight schedule so our visit to Wanaka was short but on a longer itinerary I'd have chosen to stay here a night or two to explore Mount Aspiring. 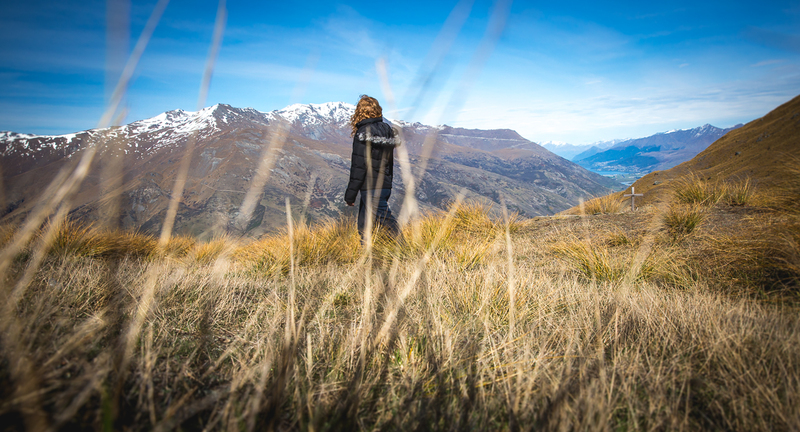 Naturally you can't pass through Wanaka without stopping by it's most visited and most photographed attraction, "THAT WANAKA TREE", a solitary tree in Lake Wanaka that some clever marketing tactics have made one of the most famous trees in the world. 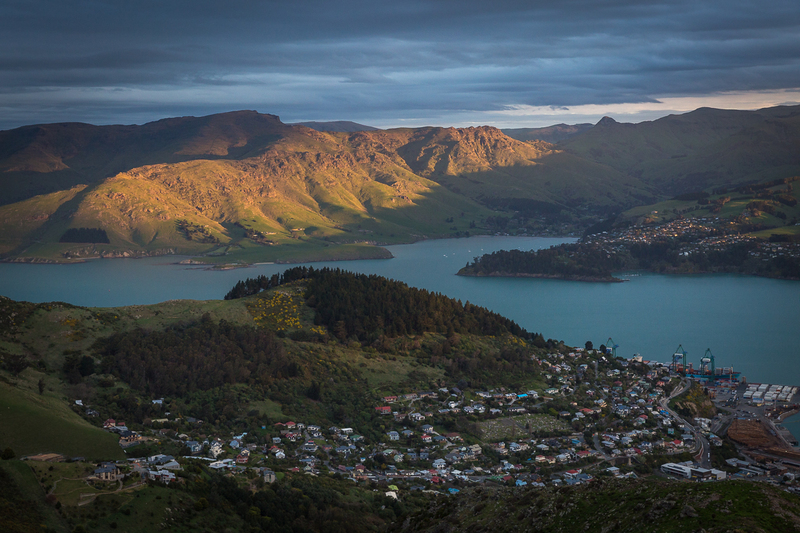 [gallery columns="2" size="large" ids="3900,3901,3903,3904,3905,3906"] Past Wanaka you'll hit Lake Hawea followed by view after view after view. No words can really describe what these photos do. [gallery columns="2" size="large" ids="3908,3909,3910,3911,3912,3913,3914,3915"] The road eventually becomes the Haast Pass where there are plenty of short walks right off the highway to break up the trip. 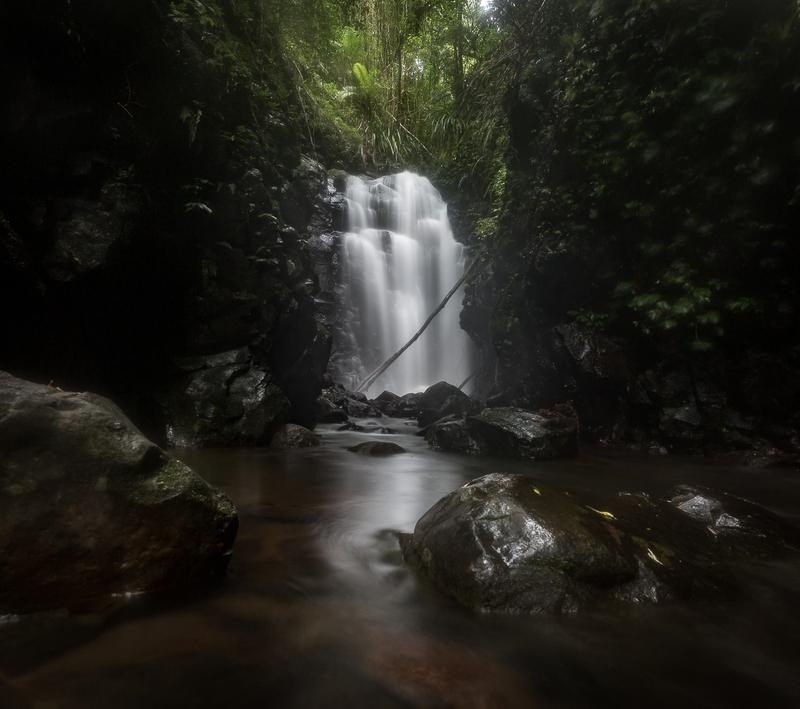 We were conscious of time so only stopped at Fantail Falls, followed by Thunder Creek Falls. If I were to do the trip again I'd also make time for the Blue Pools. [gallery columns="2" size="large" ids="3916,3917,3918,3919,3920,3923,3921,3922"] Once you hit the West Coast the scenery turns Jurassic and you'll expect a dinosaur to come thundering out of the scrub at any moment. But as soon as the appeal of this wears off, you'll find yourself going stir crazy with the lack of things to look at after being blessed by the first half of the drive. This stretch of the drive is long and tedious and not one I’d want to repeat in a hurry. They must cop some crazy weather on the west coast because there’s plenty of dilapidated buildings littering the landscape and if you blink you’ll miss the tiny townships. [gallery size="large" columns="2" ids="3924,3925,3926,3927"] We arrived in Fox Glacier near sundown and checked into our delightful little swiss styled chalet where we encountered our friendliest host yet, which is saying something because everyone on the South Island is super friendly and accommodating. You'll sleep well tonight! [caption id="attachment_3928" align="alignright" width="300"] Fox Glacier Lodge[/caption] We stayed at: Fox Glacier Lodge We stopped at: Arrowtown, Crown Range Road, Wanaka, Fantail Falls, Thunder Creek Falls, Fox Glacier We wore (in spring): Long sleeve shirt with thermal layers and jeans and puffer jacket with hood for the really cold spots. Distance: Queenstown to Fox Glacier is approximately 4 hours 15 minutes without stopping.